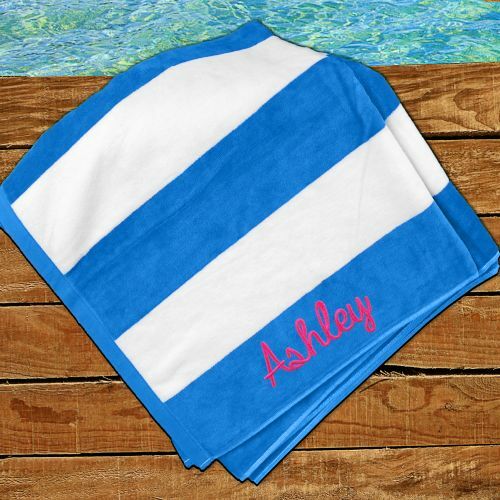 If you're going on a bachelorette getaway, a fun surprise for your bridesmaids would be these personalized beach towels. 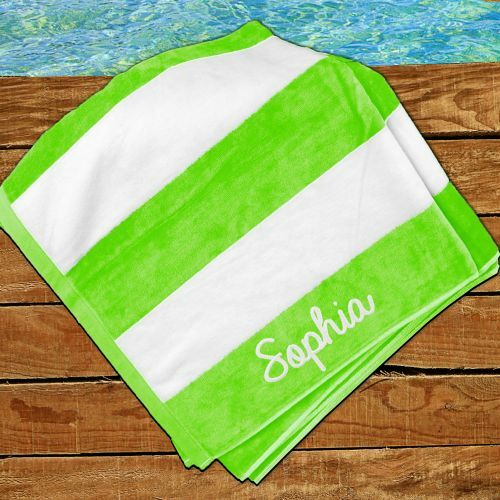 These fantastic striped towels are available in four colors, and each will be customized with any name in your choice of thread color. 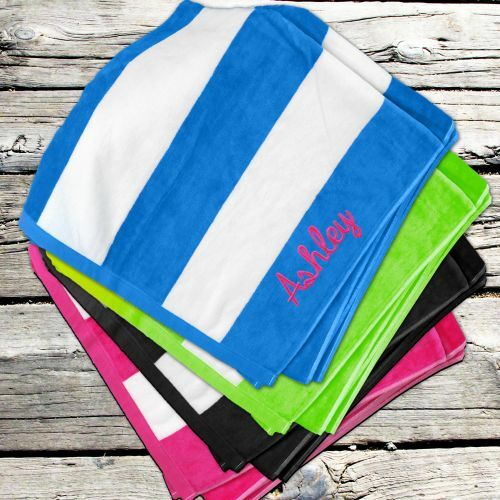 The embroidered name towel measures 35" x 60" and is 100% cotton, and its soft velour finish makes it great for after the shower, too! Looks better in person even! This is even nicer in person than on the picture..